LED 101: How to choose the right LED display manufacturer? When used properly, LED displays capture and hold attention. They communicate messages with ease and constantly drive business. Nowadays, LED displays are being used as solutions for many business challenges and demand is clearly on the rise. 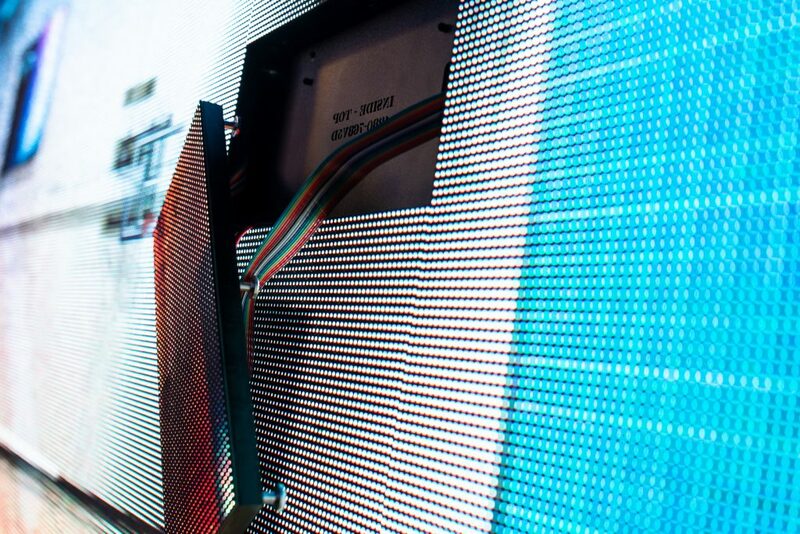 The question most people ask when experiencing an LED display up close for the first time is, how much does it cost? There’s no doubt that the cost of an LED display can be a barrier that is difficult to overcome. Some businesses opt for the less expensive option and choose to buy overseas. This requires importing the display over 9,000-kilometers, factoring in wait time, shipping and handling concerns, minimal support, and so much more. The low-cost alternative may seem great at first, but a year later when the cheap LED display won’t work you’ll be shaking your head wishing you did it right the first time. What if we told you there is a solution closer to home? A growing LED manufacturer based right in North America the offers Canadian-made product. Founded in Sherwood Park, Alberta, LIGHTVU was created when a team of audio visual professionals recognized a gap in the industry. The lack of quality and reliability available for LED technology drove the need for LIGHTVU. Our value is delivered by a solution-based team that is actually capable of capturing clients creative vision. Proudly Canadian, LIGHTVU offers LED displays that are manufactured right in Alberta. LIGHTVU is closer to clients and can commit to offering first class support that stands behind our superior products. 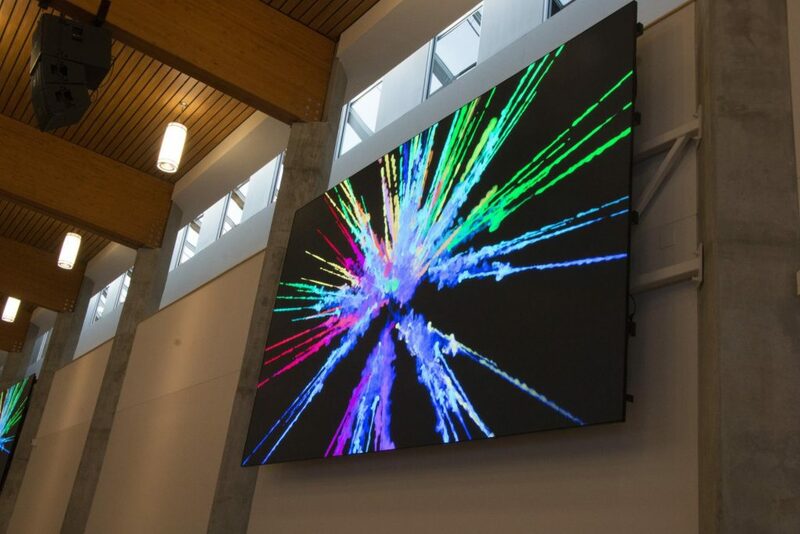 Since we manufacture our own LED displays, we can create out-of-the-box solutions for your visual experiences. 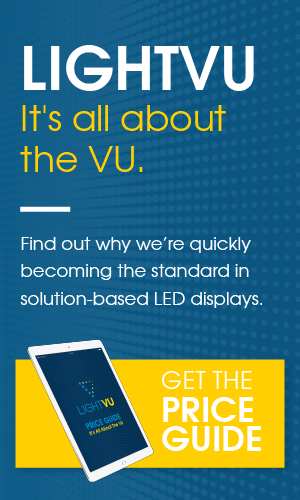 At LIGHTVU, we understand the concerns that go along with buying an LED display. These projects require an investment, there’s no doubt about it. That’s why we provide one-on-one support from the beginning of the journey and continue supporting clients long after the install has been complete. We won’t leave you hanging. If one of our displays is not perfect, we work until it’s made right. We educate our team and integrators on all of our products so we can deliver the best support possible. We look after you from the moment you contact us, through the purchasing process, the installation, and all the servicing afterwards. You’ll feel comfortable knowing we’re always here for you, and that we are here in Canada. We offer more than just one type of LED display. We have something for every project. Indoor and outdoor product lines. Options for rental and leasing. We’ll share the the right information so you know which display to choose. Big project or small, we’ve worked on them all and we are not afraid to take on custom jobs. We offer bundles for our more popular applications and we offer custom sizes and designs for those who want to go beyond the status quo. Quality displays that easily show crisp and bright images. Even in direct sunlight, which is key if you’re looking for an outdoor display. Don’t miss out on communicating your message to potential customers because of the sun! We have CNC manufactured components and 0.0002” accuracy laser-cut cabinets, meaning we can offer custom LED display sizes like you wouldn’t believe. Each individual display is known as a “cabinet” which contains everything you need for a full visual experience. Each and every one of our cabinets are a masterpiece of innovation and brilliance that can easily be linked together to create a larger display. The best part about this is that individual cabinets can be replaced (as opposed to the entire display), saving both time and money! Two-feet or 200-feet? It doesn’t matter, we’ve created LIGHTVU LED displays to fit together seamlessly in almost every configuration or size. Contact us to learn more! We offer comprehensive warranty of 2 to 7 years, and since we are in North America, we’re close enough to provide you with help as you need. We are CEC (Canadian Electrical Code) certified and inspected. That means ease of mind for you. We wire by the books to ensure your new investment is safe and technologically sound. We stand by our products. Our displays offer 50,000-hour half-life LEDs. That means you can run your new LED display for 50,000-hours before it dims to 50% of its 100% brightness. That’s almost six years of running your screen 24-hours a day, 7-days a week before the brightness dims to 50% brightness. LIGHTVU is here for all your project needs; no matter the size, we have a solution for you. We welcome the challenges each project brings. With our creativity, innovative approach, and constant research on new technological opportunities in the audio visual industry, we know we are the right LED display supplier for you.